The breakout critical discovery of the 2017 Berlin Film Festival, where it was named Best First Feature, Carla Simns autobiographical jewel is one of the most evocative and affecting depictions of childhood seen in years. 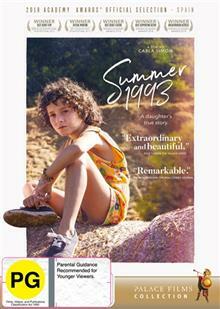 In the summer of 1993, following the death of her parents,... read full description below. The breakout critical discovery of the 2017 Berlin Film Festival, where it was named Best First Feature, Carla Simns autobiographical jewel is one of the most evocative and affecting depictions of childhood seen in years. 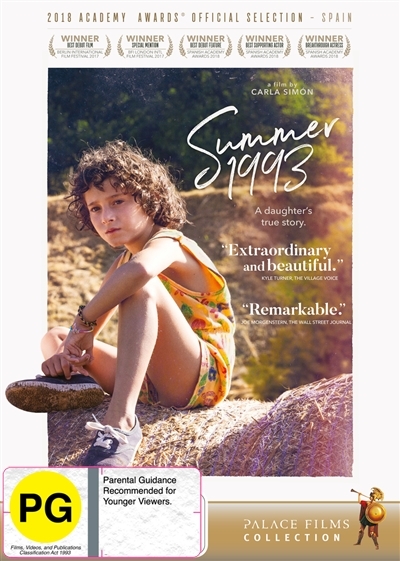 In the summer of 1993, following the death of her parents, six-year old Frida (Laia Artigas) is forced from bustling Barcelona to the Catalan provinces to live with her aunt (Bruna Cus) and uncle (David Verdaguer), her new legal guardians. Country life is a challenge: aside from the emotional upheaval, the nature that surrounds her is mysterious, if not dangerous. The couples own daughter Anna (Paula Robles), welcomes her new sister with open arms and without a flicker of jealousy, but Frida has a hard time coping with her emotions. Even as the new family begins to find a fragile balance, the source of her parents passing casts a shadow over how Frida is treated by the local community Indeed, her life will never be the same.